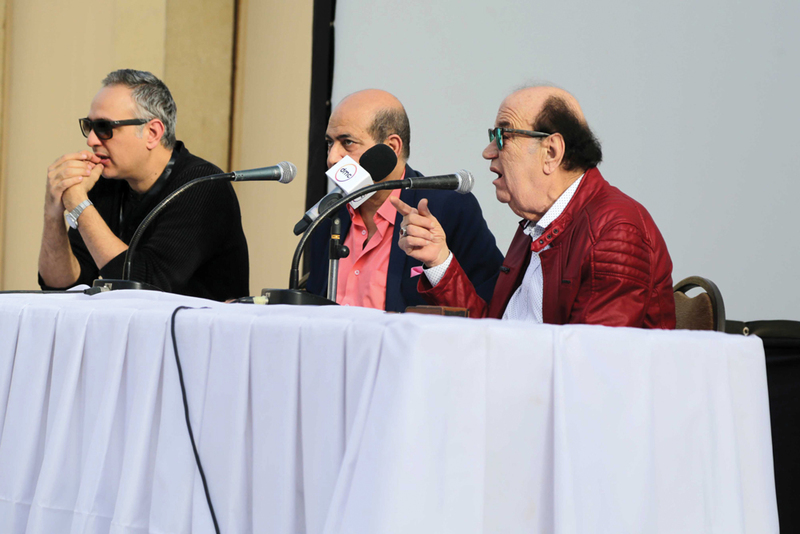 As the Arab region’s oldest and most historic film festival, the Cairo International Film Festival (CIFF) has since its inception, been considered the most prestigious in the region. After all, Egypt is the heart and soul of Arab cinema, so it is only natural that Cairo’s festival is the most prominent. 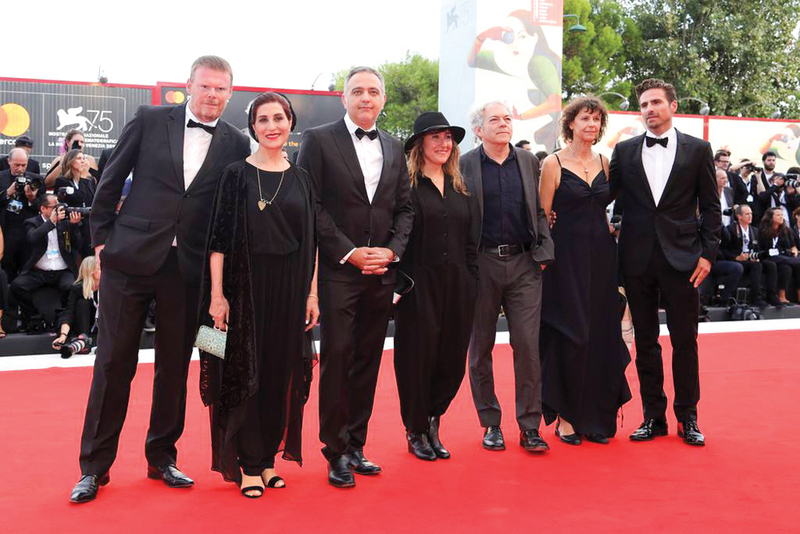 Yet in the past few years, the CIFF had lost its luster, and was overshadowed by more glitzy and glamorous festivals in Marrakesh, Dubai, Abu Dhabi and most recently El Gouna. 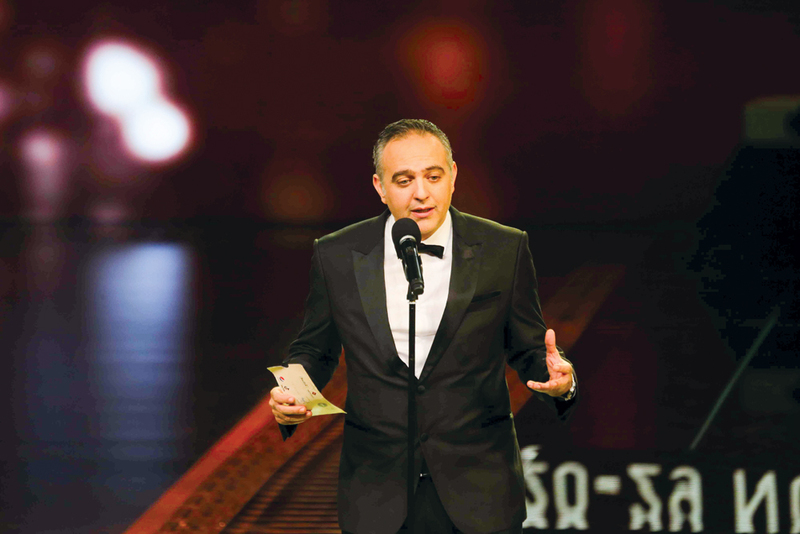 Yet this year everything changed, as a new dynamic and ground breaking pioneer was appointed as CIFF President: the extremely talented and charismatic screen writer and film producer, Mohamed Hefzy. ntrusted with the ambitious task of revamping CIFF and bringing it back to its glory days, Hefzy proved he was up to the challenge and then some. As a result, the 40th edition of CIFF was a resounding success. With several important films under his belt, Hefzy had already established himself as a successful scriptwriter and an innovative producer who is not afraid to take risks. His reputation among his peers is impeccable, and he has strong connections in the international and domestic film industries. He is also well respected by the business community at large, which was crucial in raising the funds needed to produce a festival at the highest standards. 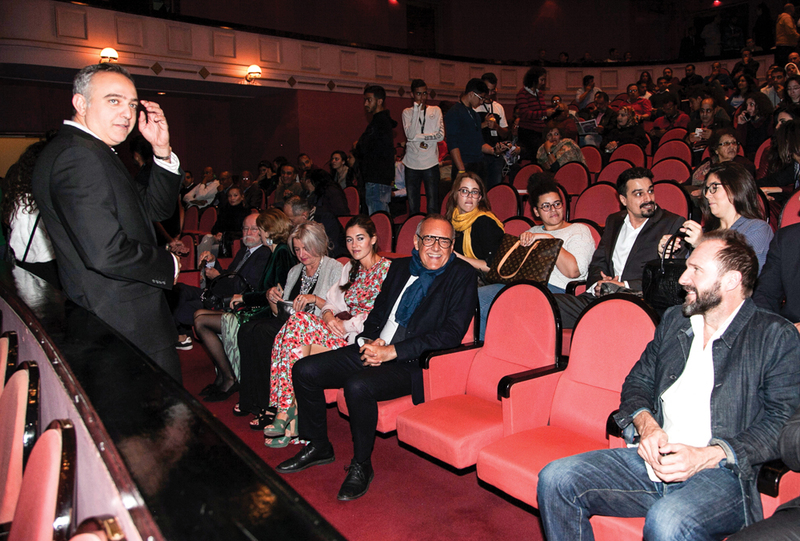 As a result, the news of his selection as president of Egypt’s national film festival was loudly applauded by all. 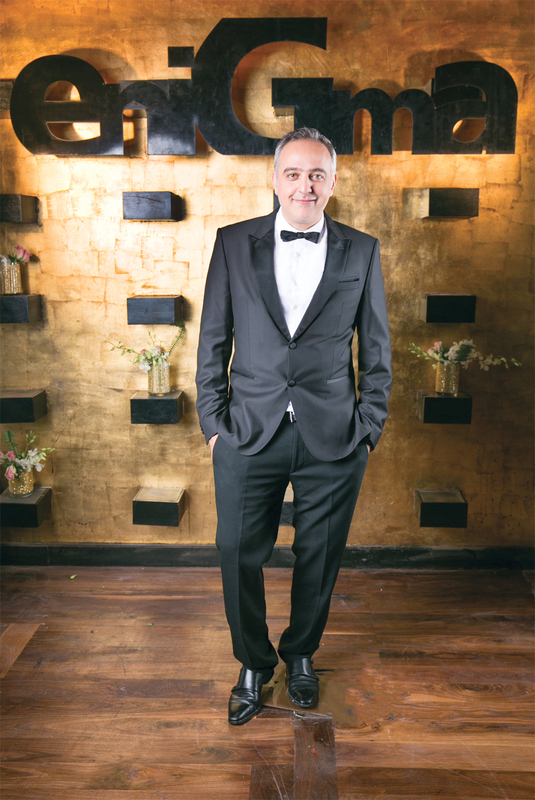 Being a close friend of eniGma and of our Editor in Chief, Yasmine Shihata, the news of Hefzy becoming President of CIFF was naturally enthusiastically celebrated by our magazine. We were also delighted when he entrusted eniGma with the organisation of the glamorous Bvlgari after-party at the conclusion of the CIFF. 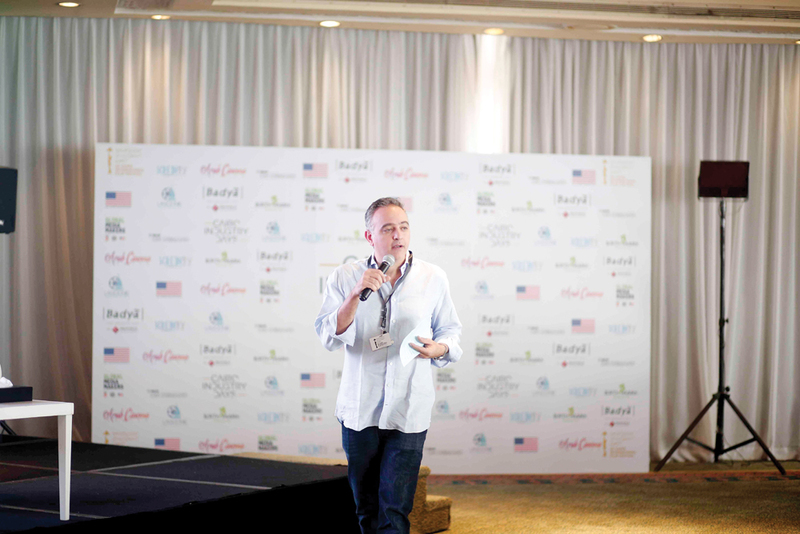 Once the hectic days of the festival were over, Hefzy graciously sat down with Yasmine Shihata for an exclusive interview to discuss the festival, its challenges, the highlights of the extraordinary week, and his expectations for the future. Here are some excerpts of the exclusive interview. Most people know you as a very successful film producer, screenwriter and businessman. How would you describe the moment you were asked to become the president of the CIFF? I got that call at the beginning of April, 2018. I was told five minutes earlier that the Minister of Culture was about to call me, which I was not expecting at all. After 15 minutes of discussing the festival, its current status and what I could add to it – she took the decision. We had a very similar vision, so this encouraged me to take on the challenge, despite my worries about lacking the experience of running a festival of such a size. The decision was certainly scary, but I didn’t stop to think about it for too long. I just took it on. What scared you the most about it? I had to ask the minister about a few things before giving her my final decision. I needed to know if I would be expected to navigate the bureaucratic jungle of working with a government institution. I was also conscious of the time frame. For a festival of that size, 10 months of preparations is needed at least. We were already 3 months behind schedule when I was appointed and we had a lot of catching up to do. I was also worried about not having a sufficient budget. We knew we were starting from a disadvantage, so we had to find a way to raise money and to do it quickly. We had to rebrand the festival and convince companies in the private sector to trust us; not just with their money but also by associating themselves with the festival. What more can be done next year to meet the challenge of fundraising for the festival and get more businesses to support it? Without turning it into a purely commercial enterprise, the truth is that arts rely on patrons and sponsors, so there is a certain element of giving back to the community involved. It is not just about “what do I get in return”; yet at the same time, I understand if a sponsor wants to see a return on his investment. I was so happy this year that we had support from really good sponsors, like Yassin Mansour’s Palm hills, who was the main sponsor of the festival along with our media partner, the broadcasting company DMC. There were other prestigious contributors as well, such as the Ministry of Tourism and the international jewellery house Bvlgari. All the contributors appreciated that this is our national festival and our image in front of the world. I don’t think any of them calculated their contribution on a purely materialistic return. Yet because the festival was a success, a lot of them feel they gained something by being associated with it. Hopefully they will support us again and others will be encouraged to contribute in the future. What were the unexpected highlights of this experience? There are several aspects that made this edition different and contributed to its success. For example, the selected films and the program attracted positive reactions from the audience. The cinema admissions by the public during the festival were more than double the previous year; and we set an ambitious target of attracting considerably more people to view the nominated films. Yet the real achievement was reconnecting with the film industry. This festival does not just cater to people interested in watching the movies, it also caters to producers, filmmakers and professionals who want to move forward with their careers and their projects. 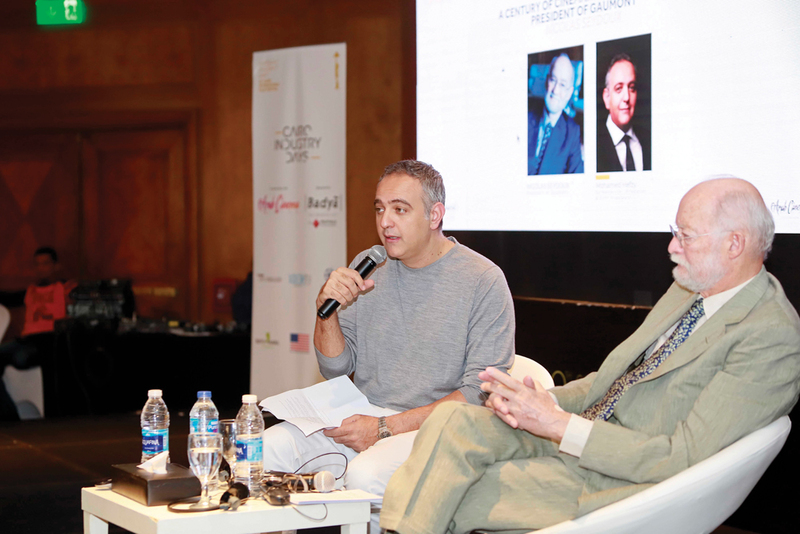 The industry program this year included three different components, all under our new platform ‘Cairo Industry Days.’ We invited about a hundred and fifty people to participate as international guests as well as a lot of local filmmakers, producers and writers. The program included workshops, masterclasses, seminars and panels. Another highlight was the Cairo Film Connections platform we launched, which is a market for films and post production development. This was really important for the festival to evolve beyond simply screening films and further enable filmmakers to advance in their careers. Did the festival’s location and its 40 year history make it easier for you to pitch it to international celebrities to attend? Yes it did, but it is still not an easy decision for people coming from the US. We had a couple of delegations coming from China, including a delegation from the Shanghai Film Festival. But we had very few stars from the US because it is very hard to attract Hollywood stars to come to the Middle East in general. Even the Dubai festival has struggled with that. Some festivals pay money to secure the attendance of big stars, but we did not want to follow that route. We decided the CIFF should be something that is attended voluntarily. Some choose to attend because they want to visit Egypt, others choose to come because they want to meet young Arab filmmakers, while some attended because they wanted to try and raise money. Then there are others who attend to be part of the jury, to conduct a masterclass or receive an award. For me, the festival’s importance does not just depend on Hollywood stars; it is really about the stars making waves in their regions. When you look at somebody such as Mercedes Moran, for example, she is a huge star in South America. She was happy to attend and spent five days with us and showed great interest in the festival’s program. I am trying to fight the perception that Hollywood is the only source of international cinema. This is an international festival and we have to look beyond this stereotype of having just American stars attend. Through eniGma’s work abroad, we have found that many often underestimate the power and influence of our own Egyptian stars. Is that something you wanted to highlight? Of course! The opening ceremony witnessed a very good presence of Egyptian stars, except for those who were either shooting or traveling at that time. Yet what pleased me the most was seeing our stars coming to films, to red carpet screenings and, in some cases, to the masterclasses or panels. It was very satisfying to see big Egyptian directors, actors or producers who have a lot of fame and experience, coming to listen to someone like the president of HBO films. 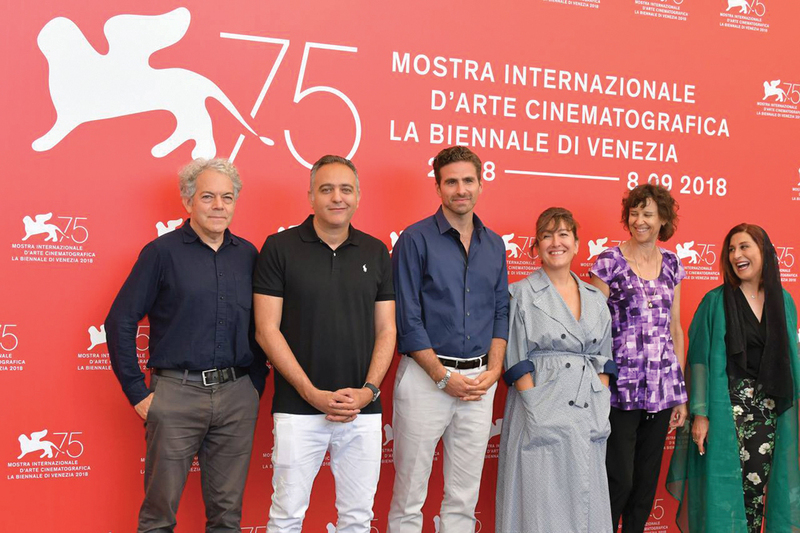 To me, these sessions really elevated the festival; to have someone like the director of the Venice Film Festival lead a masterclass about cinema and talk about what goes into creating great films and the future of cinema was amazing. The master classes and panels provided a rare opportunity to have a conversation with some of these talented people. How can regular people attend the festival’s various activities? There are events that are open to the public and others that are just for registered guests; namely the film professionals. So, if you are a film professional and you apply for accreditation to the festival, your application will be reviewed and, in most cases, accepted. This year we decided to offer free registration, which included free tickets for up to three films a day. Meanwhile, accreditation could also get you access to the masterclasses, panels and some of the workshops. For those who were not accredited professionals, tickets were offered online to attend any of the screenings or even some of the gala events. Tickets for the galas were more expensive, but they were always almost sold out. All in all, there are a lot of things open to the public and that is how it should be. Another thing that I loved was the success of the opening film. What went into the decision of choosing that film? You have to pick an opening film that people would stay and watch after the opening ceremony. You cannot choose a three-hour movie because then you will not have a chance. The film has to have some appeal outside of the specialised festival audience; so you have to choose a film that will have wider appeal than the other films you show in the following screenings. Thus we chose the critically acclaimed Hollywood movie, Green Book, which was a huge success. When will you feel that you have achieved what you want to achieve with the festival? When 100 thousand people go to watch films during the festival. That would be a true achievement. In terms of audience, the festival of Carthage in Tunis, is the biggest festival in the Arab world; there you are talking about 150 thousand to 200 thousand people going to view the films. I’m extremely jealous, because in a city as big as Cairo, only 30 or 40 thousand people attend the screenings. It is disappointing, and we should at least have 200 thousand people going to the cinema during the festival and paying attention to the festival’s activities. Everybody knows that Cairo is the capital of Arab entertainment, television, and film. But, for some reason we do not have big premieres similar to those taking place in other regions. Aside from the festival, what can we do to elevate our premiere events? The reason for this is pure economics: Egypt is not a huge market for foreign films. It is quite a small market actually, when you compare it to Dubai, for example. Hollywood films generate much more money at the Emirati box-office in comparison to ours, because of the purchasing power of their much smaller population that is able to go to the cinema consistently; as opposed to our bigger population that is too poor to pay for the price of the ticket on a regular basis. On one hand, you have people going to buy tickets regularly and on the other you have a population that is rarely encouraged to buy one cinema ticket. Aside from the economic reasons, isn’t marketing another strong factor? Yes partially, but the bigger influence is the economic aspect. The Egyptian market could be estimated at around 10 to 12 million tickets per year. For a population of 100 million people, the number should be much higher than that. If our entire population of 100 million people do in fact go to the cinema regularly, Egypt will certainly become the biggest market in the region. Only then, will we be able to compete with Saudi Arabia going forward (if Saudi Arabia is fully functional in terms of theatres). They currently have a plan to open 2000 screens; in that case they will become the biggest market in the region. Despite the fact that it is smaller than Egypt in terms of population, the number of screens, the purchasing power, and the price of the tickets will make it by far the biggest market in the region. What can Egypt do to overcome such an economic barrier to encourage more people to go to the cinema? Well first of all, we have to build more theatres and more screens. Meanwhile, as a country we need to have a more economically comfortable middle class, because in any country it is the middle class that supports the arts and cinema. Maybe in five to ten years our economy will be much better and a lot more people will be able to afford taking their families to the cinema regularly. A big part of theatre attendance is also controlling piracy. Films are often available online weeks after they have been in the cinema or sometimes even at the same time. So it’s hard to reach those who take the cheap option and watch films online. We have to control piracy, improve the economic standard of the middle class and build more screens. In addition, we also have to produce films that have a wide appeal and market them well. Back to the festival, how was the feedback on the festival from the minister who entrusted you with the task of presiding over it? We have only spoken once since the closing ceremony and she seemed quite happy; that’s why I think there is a good chance that there will be a mutual agreement for me to stay on at least another year. I’m also really happy with the general feedback in Egypt and the foreign feedback I received when I was in Marrakesh, Dubai and Riyadh after the festival. Everyone gave me great feedback, even if they did not attend, because they heard about the screenings and the activities. Meanwhile, those who were there were extremely happy with the hospitality and the program. So, I do feel that there has been positive feedback and I hope that translates into more success next year. What was the most unforgettable moment of the Festival for you? There were many unforgettable moments. The opening ceremony and the tributes were very emotional. Furthermore, I was extremely happy for some of the winners – for example the Golden Pyramid Award went to the film, A Twelve Year Night and I was excited to see the director receive his award, which was so well-deserved. I also really enjoyed some of the masterclasses and sessions. 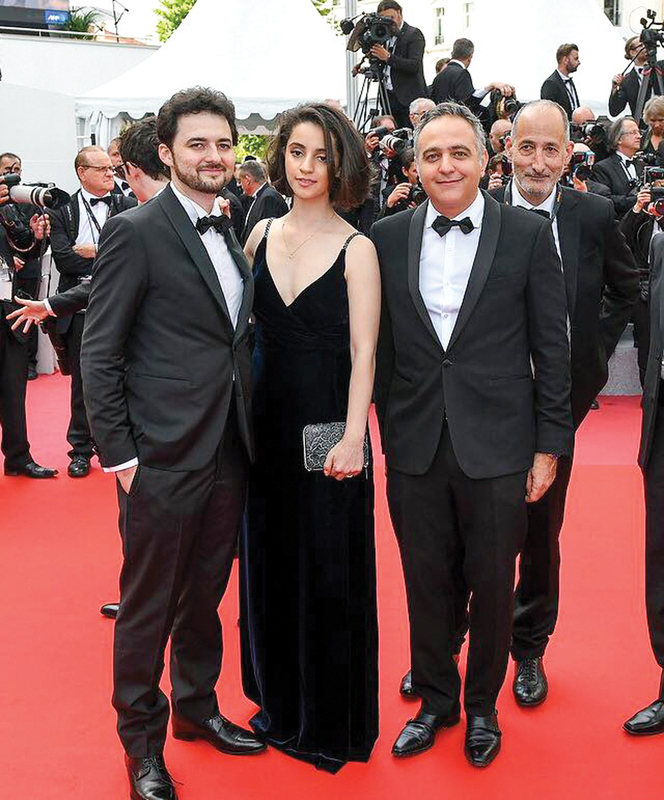 I am also proud that so many people wanted to get tickets for the festival’s big events; including the gala screenings and the award ceremony of Cairo Film Connection. Another one of the festival’s biggest highlights this year was the 40 Year Legacy Exhibition, which was opened on the first day of the festival. Seeing the exhibition was really special. Now that the 40th edition of CIFF is behind you, what are your plans for the future? I’m going to start planning for next year! It does seem that there is a good chance that I will do it again, but even if I do not, there is work that has to be done to wrap up this edition; all the financials, planning the headlines for next year and choosing the dates. Meanwhile, I’m eager to produce films again and focus on projects I have neglected, and filmmakers that I need to pay attention to. However, I only have about four or five months to do so before having to focus once again on running the festival. Are you excited about the CIFF next year? Yes because I feel like it has been well received and people did notice the difference. It would be a shame to let that go and just simply go back to my normal life. It is definitely worth another year or two; yet, I do not see myself doing this for more than three years, but who knows!